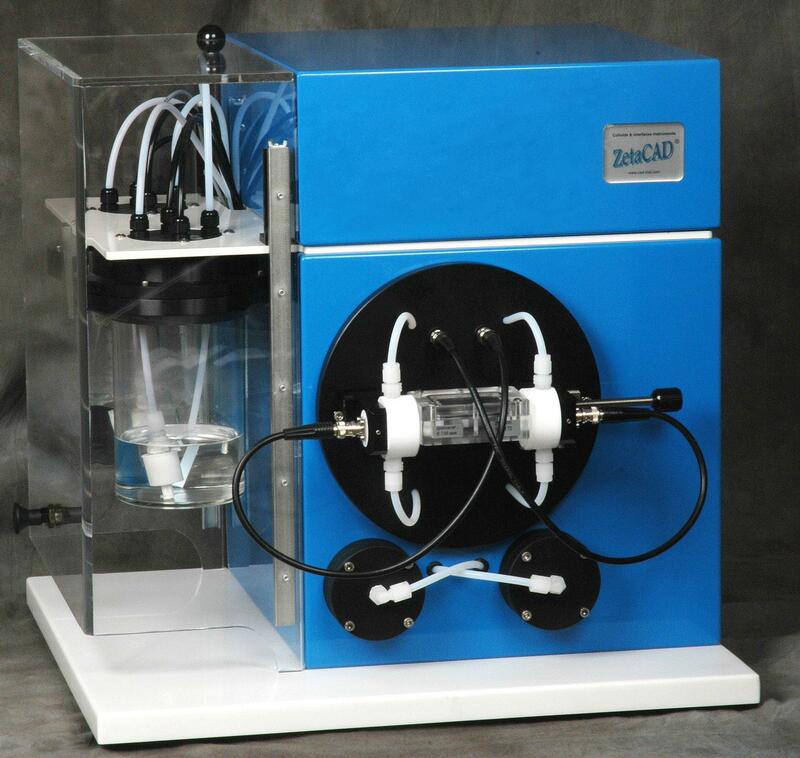 The ZetaPhoremeter is a fully automatic Zeta Potential Analyzer for colloids in suspension. 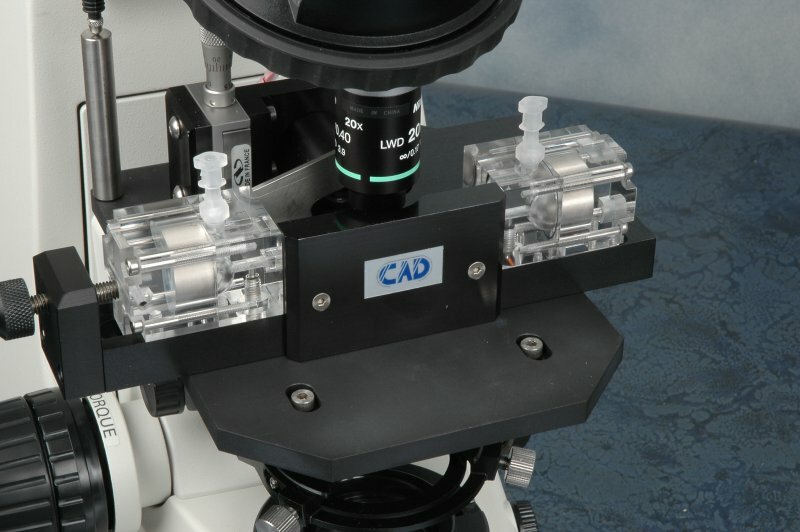 In the standard setup, the patented measuring cell is mounted on a Nikon Eclipse Ci-S microscope with a 10X objective. 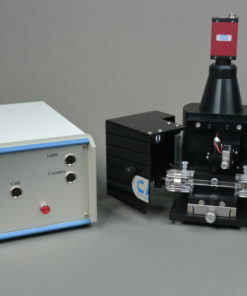 Use of laser illumination and a high resolution digital camera, allows for the measurement of nanoparticles, down to 10 nm. 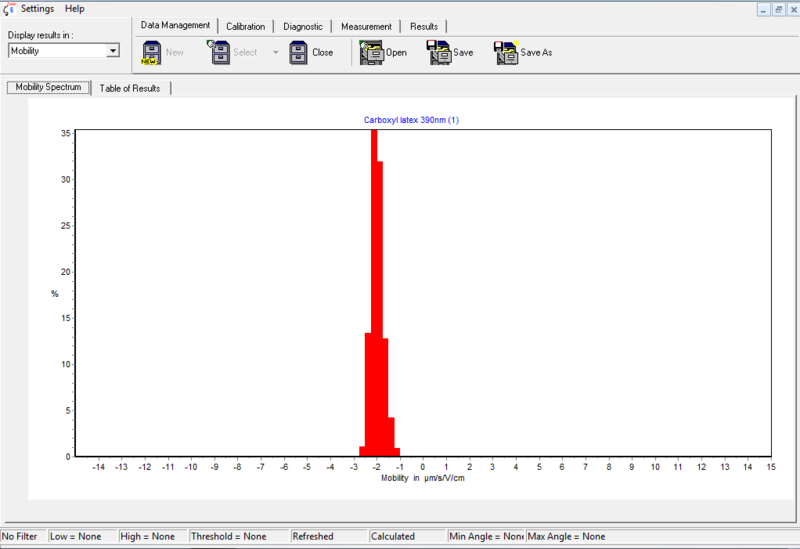 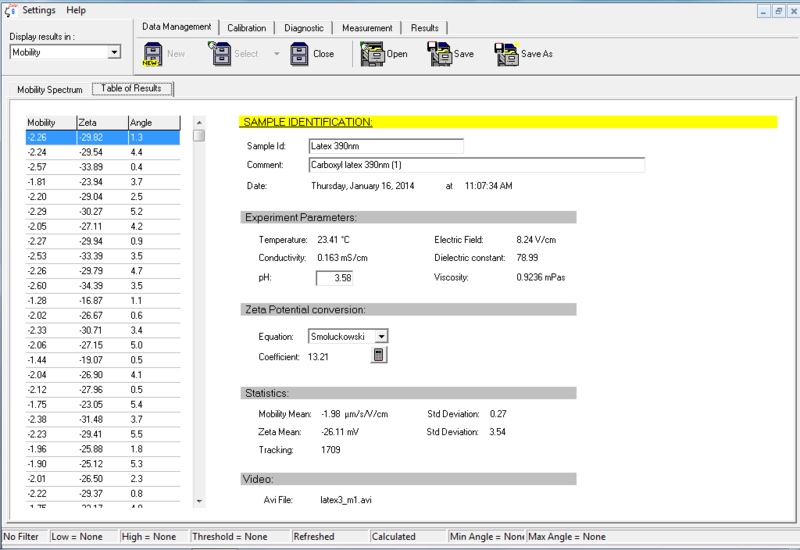 A user friendly, intuitive software allows comparison between measurements, plot of Zeta Potential distribution, Zeta Potential versus pH, conductivity or time. 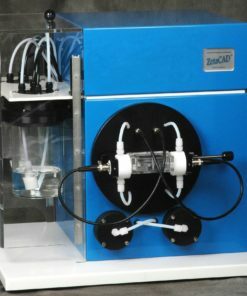 Applications: virtually any colloidal suspension including polymers, latex, nanoparticles, emulsions, micro-emulsions, liposomes, biology, immunology. 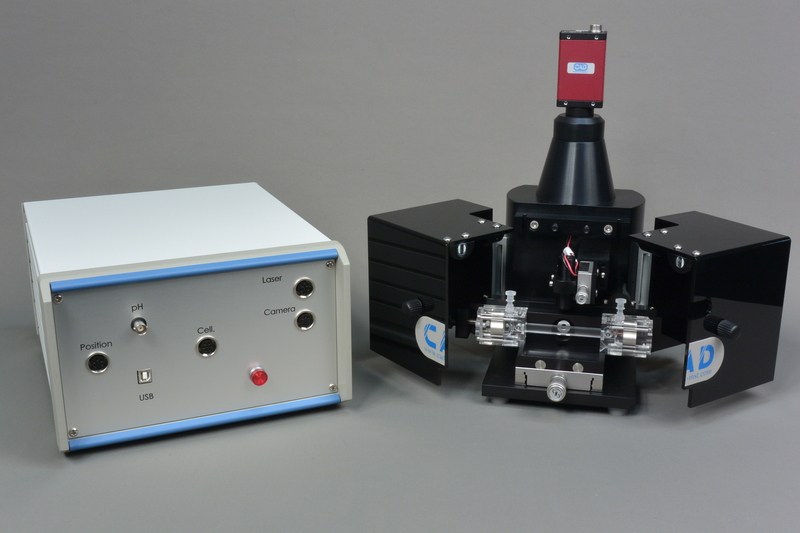 In addition, the ZetaPhoremeter presents the advantage that it is adaptable to fluorescence microscopy. For example it is possible to study the Zeta Potential of compounds having fluorescence properties, such as bacteria. The ZetaPhoremeter uses the electrophoresis (also called micro-electrophoresis) principle. 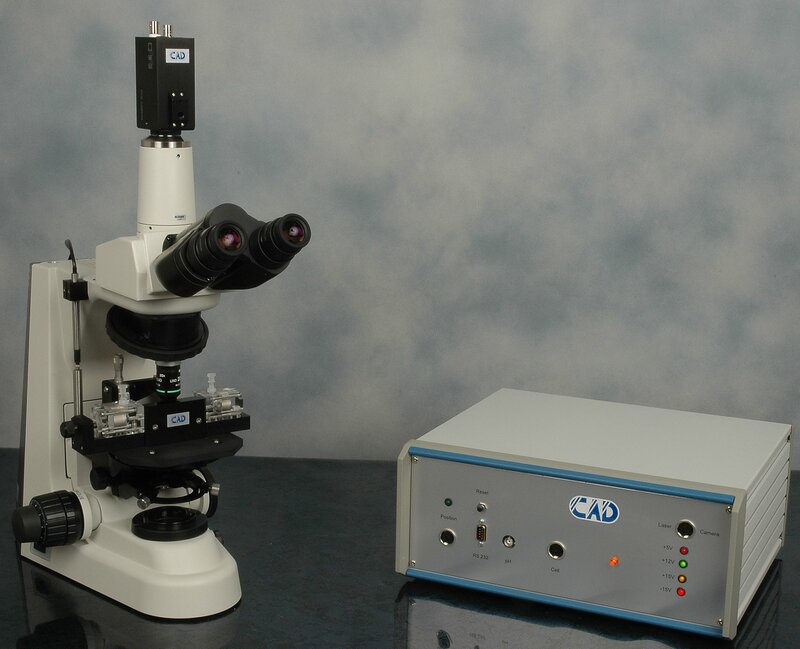 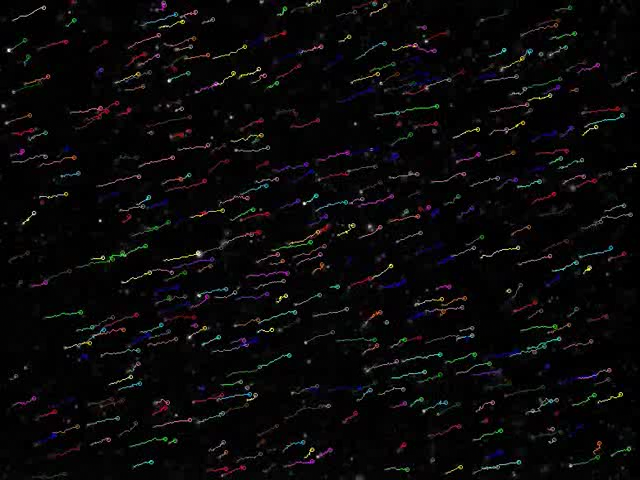 An Image Analysis software allows fully automatic measurements with the highest resolution possible (up to 4,000 particles are simultaneously tracked, in seconds).